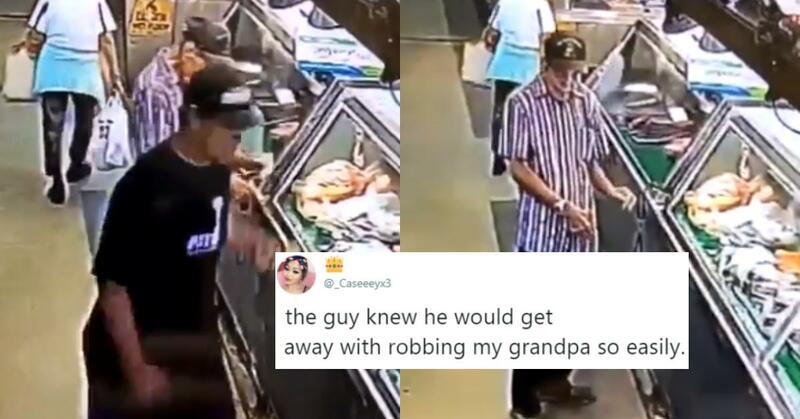 A man who stole money from a 95-year-old Grandpa who was getting ready to pay for something at a grocery store just learned the hard way that the internet doesn't take kindly to people who rob the elderly. When it comes to dealing out justice, a Twitter mob hyped up on righteous indignation is a powerful tool. Just ask these young fools who stole a tip jar, then bragged about it on Snapchat. An irate member of the victim's family posted security camera footage online and asked Twitter to do its thing. In a matter of hours, the identities of the girls who carried out the crime were discovered, as were incriminating videos of them bragging about the crime on Snapchat. With the case of this 95-year-old man, however, Twitter had even less information to go on. In the following video — which will make your blood boil if you watch it, unless you have a thing against old people — we see an elderly man leaving his wallet out on a countertop as some shady looking dude hovers over him. Once the thief sees his chance, he quickly grabs the wallet and some cash and high tails it out of there. The look on the man's face after he realizes what just happened is heartbreaking. As it turns out, the victim was Twitter user Casey Fernandez's grandfather, and she wasn't about to let some money-grubbing scumbag get away with robbing her Pop-Pop. 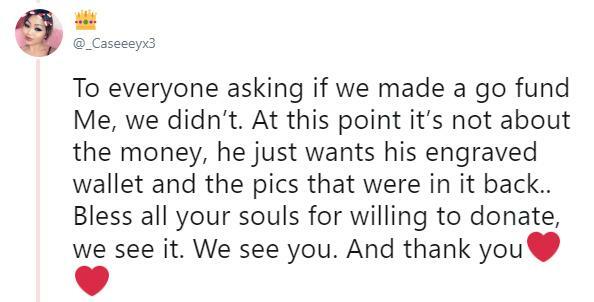 So she got the security cam footage and leaked it out to Twitter for everyone to do their thing. It didn't take long for the disgust to sink in and motivate people into finding out who this guy was at all costs. People immediately started reaching out on Twitter, Facebook, and Instagram, where Casey posted the video. Someone found a potential suspect: a 49-year-old man named Remik Ungeni, who has a history of ripping off and robbing people in the Honolulu area. 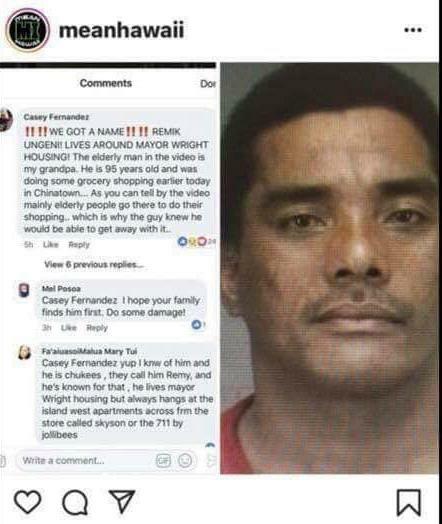 After a while, photos of Remik — along with his personal information — started circulating all over social media, including a "Stolen Stuff Hawaii" Facebook page that helps get the word out about local crimes. 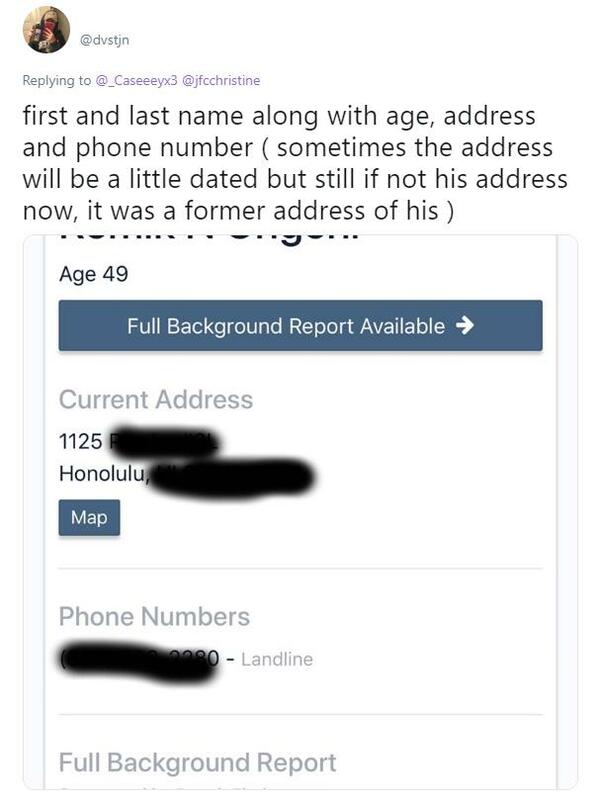 Someone even managed to find an address and phone number for the man, which is pretty scary if you're the paranoid type. Sadly, he wasn't the only alleged criminal in this whole scenario. 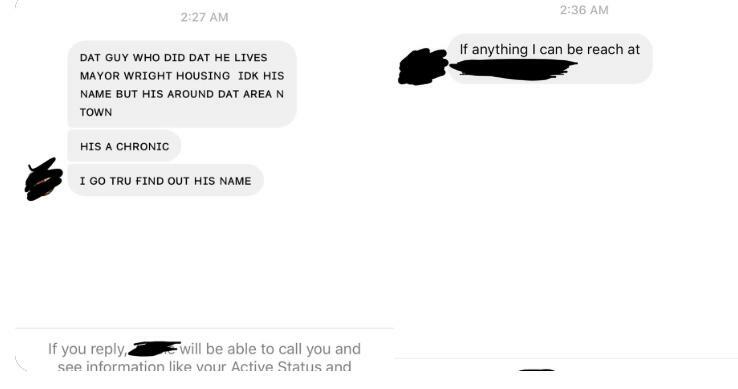 Other scammers tried capitalizing on Casey's viral story. 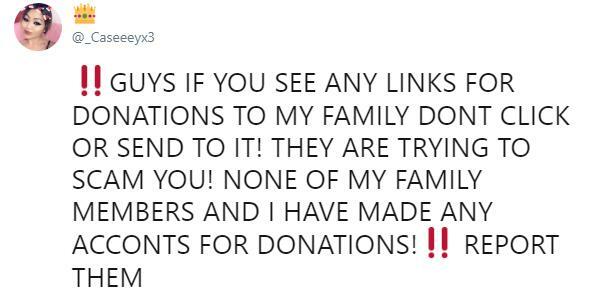 They set up fake GoFundMe pages in her grandfather's name. She immediately hopped online to let people know she and her family weren't fundraising, as much as she appreciated the gesture. For her grandfather, he just wanted his monogrammed wallet back, along with the photographs of his family members. There's a decent chance the wallet and the photos inside aren't lost, because people found some remnants from the wallet afterwards. One managed to find what looks like her grandfather's ID card. Once they heard about the story, they snapped a photo and uploaded it online. There's no word yet on whether Remik Ungeni's been taken into custody or if he's been verified as the culprit, but the evidence does some pretty damning. Here's hoping whoever robbed the old man gets taken in for questioning and can give Casey's grandpa his prized possessions back. And if Ungeni is indeed guilty, then I'd hate to be him right now. He's got all of Hawaii, and the web, looking for him.